Approximately 540 competitors attended the 2012 USA Judo Senior National Championships on Saturday, April 21, 2012. Seven judokas represented White Dragon Judo Club which was the largest representation of this club ever. All of the judokas competed hard and stood out in all of the divisions at this tournament. Derick Wellman and Tiffany Choi (Polk) finally made it to the podium by capturing the bronze medal in the kata division. The kata experts executed a beautiful nage no kata after narrowly missing the medal podium last year. Anna Feygina placed fifth for the second year in a row at 57kg. 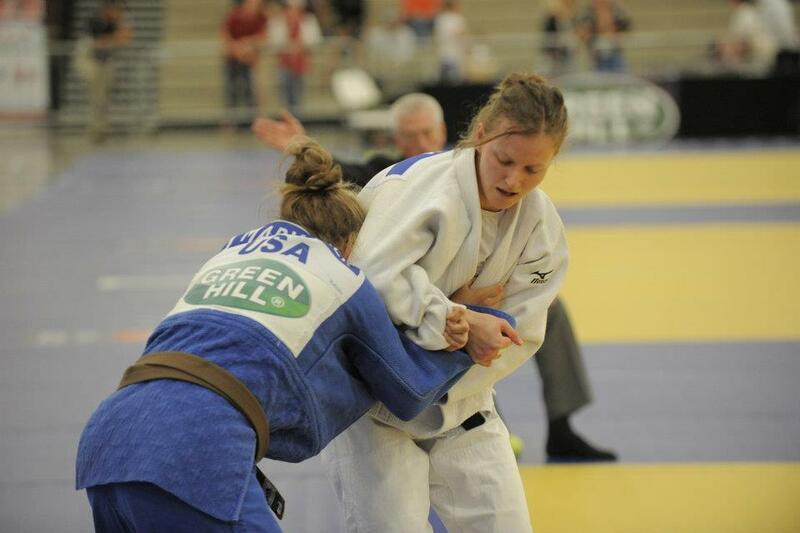 Amber Jones fought very well despite a match with bronchitis but was unable to medal. Tiffany Choi (Polk) also made her shiai debut at 63kg. Choi’s athleticism stood out during her matches but was unable to manufacture the same results she produced in kata. Adnan Gutic won a gold the visually impaired division at 81kg and third place finish in the newly assembled brown belt division. Gutic finished the day at 3-3. In the Masters Division, Dan Dillion made his national debut with a strong 5th place performance. Tara Kuhne powered her way to her second consecutive masters championship at 63kg. Kuhne is the number 1 ranked masters female judoka in her weight category. Tom Kuhne and Derick Wellman were highly impressed with the team’s performance overall and have high hopes for next year. White Dragon Judo Club would like to thank Tracy Hangley, Eugene Hamilton, Taeyoung Choi, Jon Jones, Blair Watts for selfless support during this tournament.